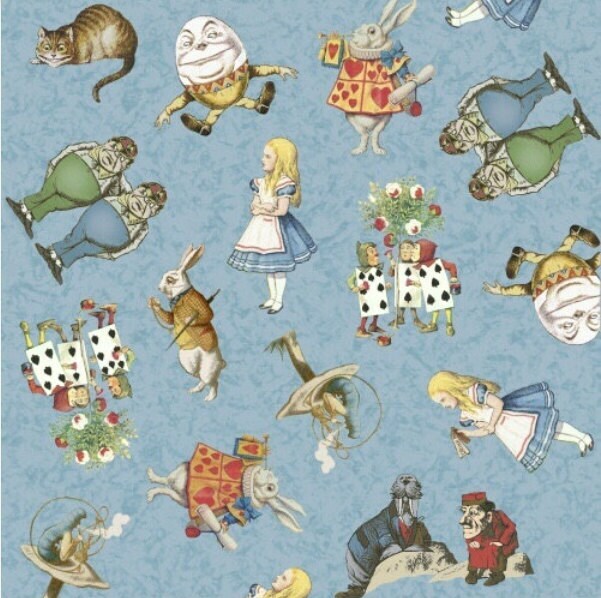 ADVENTURES IN WONDERLAND BY WHISTLER STUDIOS. 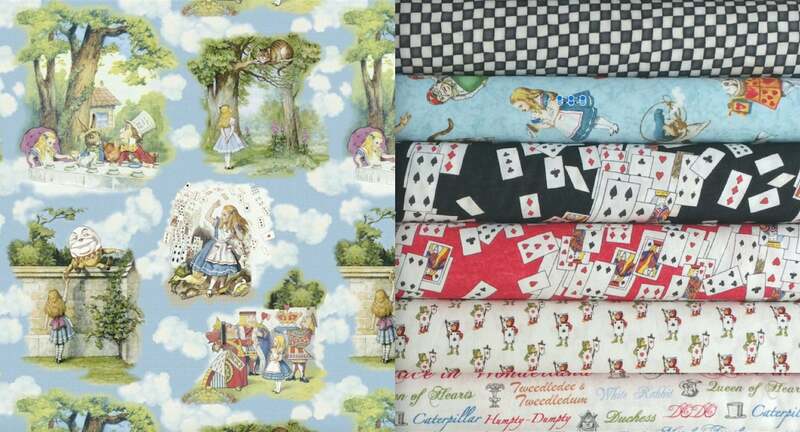 ♠️ The playful and colorful interpretations of John Tenniel's original "Alice adventures in Wonderland" illustrations on fabric. 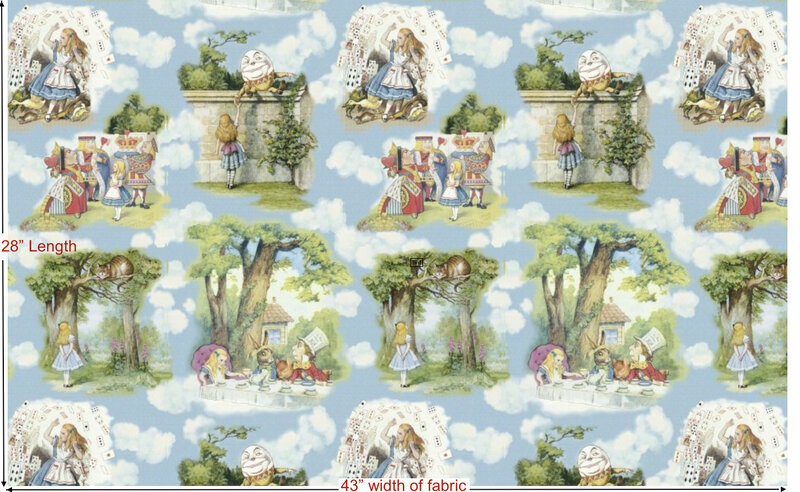 ♠️ 100% Quilting Weight Cotton. 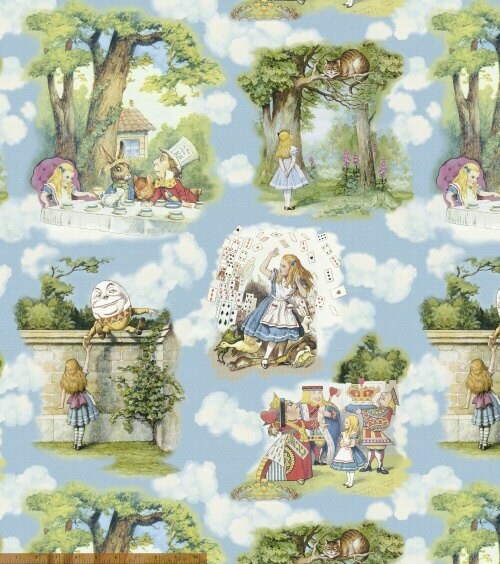 ♠️ Alice Main W30857-X Blue, 28"x43" panel remnant ( approximate size as shown in the 2nd picture). 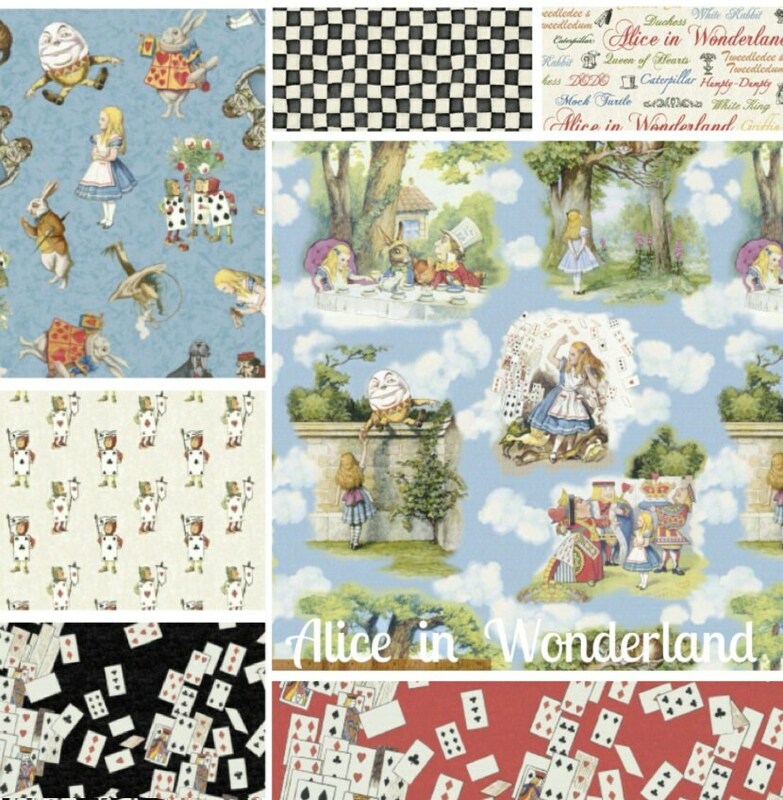 ♠️Alice Characters W30850-1 Blue, 1 Fat Quarter. 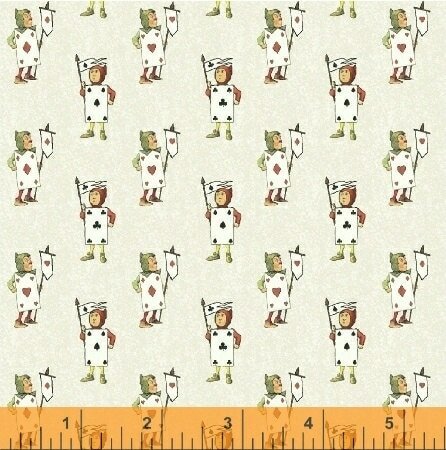 ♠️Mini Card Army W30853-6 White, 1 Fat Quarter. ♠️Text Character Names W30856-6 White, 1 Fat Quarter. ♠️Checkerboard W30854-3 black, 1 Fat Quarter. ♠️Playing Cards W30851-3 Black, 1 Fat Quarter. ♠️Playing Cards W30851-4 red, 1 Fat Quarter. 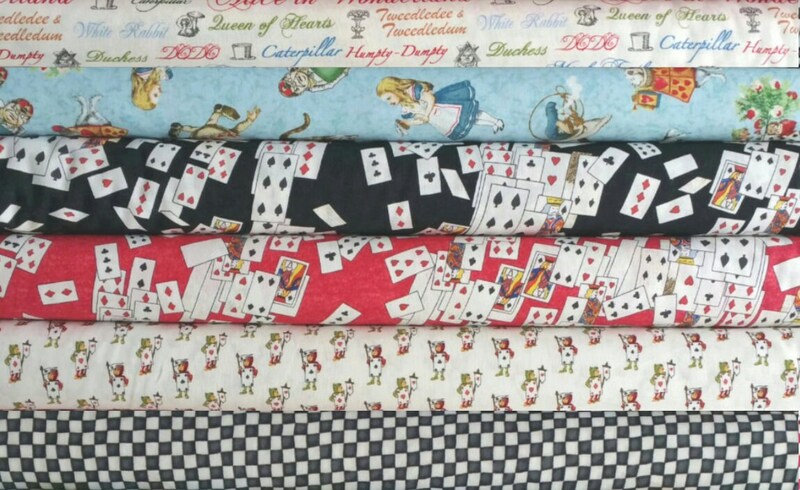 Seven cuts ( 6 Fat Quarters + 0.77 yard panel). Measurements: Fat Quarter = 18"x21" (metric: 46x56 cm). Panel remnant cut ( 0.77 yard"L x 43"W, metric: 70x112 cm). NOTE: The placement of the large characters on the panel will vary for each bundle depending on where we cut it last from the bolt.